original gooey butter topped with fresh blueberries. grab a fork for this one! we take our chocolate crust and top it off with peanut butter goo and reeses peanut butter cups. we start with a chocolate crust and finish things off with raspberry goo and fresh raspberries. what better way to salute the sweets lover and sports lover you know? our all-natural, from-scratch gooey butter cake is packaged inside a custom gift box featuring the gooey louie character sporting his latest baseball gear. too cute! what better way to congratulate that special someone on a job well done! 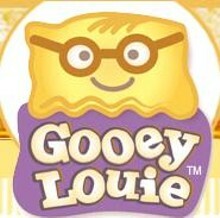 enjoy any gooey louie flavor packaged inside this fun happy graduation gift box.